The philosopher and commentator John Haldane explores a range of issues concerning the condition of Roman Catholicism, its leadership and teachings, and examines the ways in which these connect with, complement, or challenge trends within Western Society. 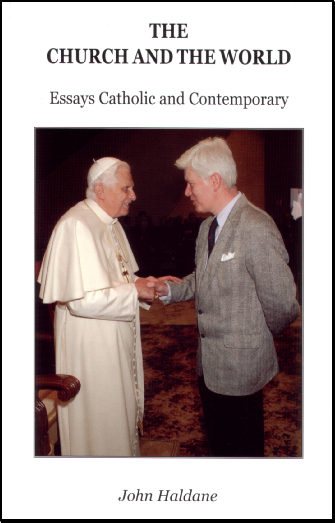 Over the course of some twenty-five essays he discusses matters as diverse as the papacy of John Paul II, the role of philosophy in articulating Catholic teaching, evolutionary theory, Christian humanisim, medical and sexual ethics, religious architecture and Catholic schooling. The chapters display the analytical mind of the philosopher, the sensibility of the art critic, and the fluency and descriptive power of the journalist and broadcaster.